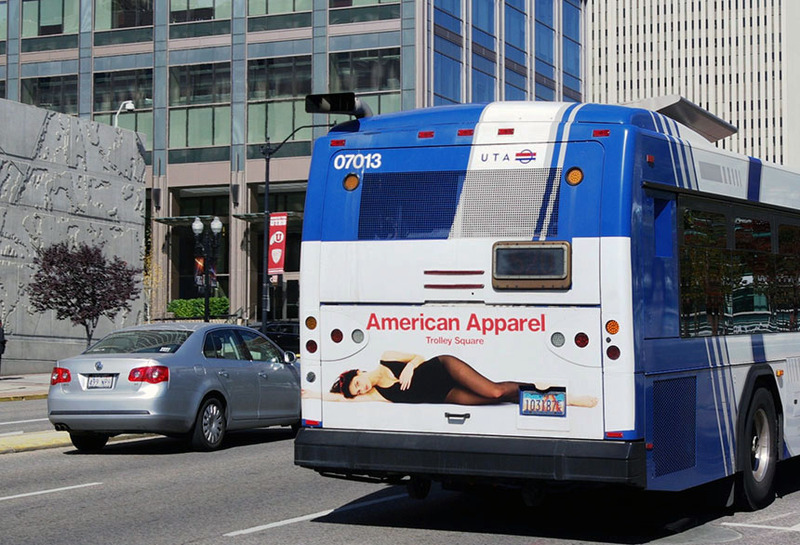 American Apparel ran a branding campaign in Salt Lake City, UT that utilized Lamar transit bus inventory. Their bright and eye-catching full back design reached retail consumers on the street level while moving throughout residential and core business areas. The creative included a location and brand name which kept the advertisement simple and effective.